A program of interest to Amador residents is being presented by American Association of University Women (AAUW). 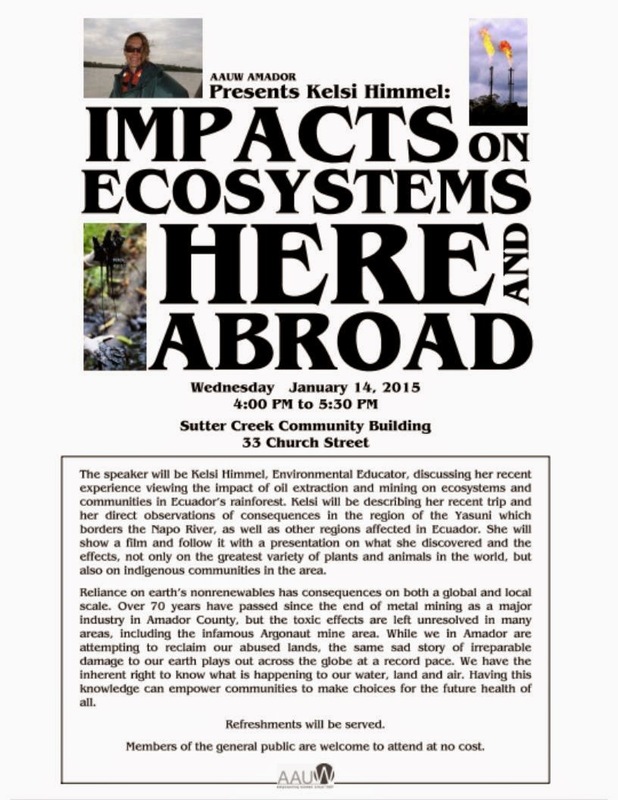 The speaker will be Kelsi Himmel, Environmental Educator, discussing her recent experience viewing the impact of oil extraction and mining on ecosystems and communities in Ecuador’s rainforest. Kelsi will be describing her recent trip and her direct observations of consequences in the region of the Yasuni which borders the Napo River, as well as other regions affected in Ecuador. She will show a film and follow it with a presentation on what she discovered and the effects, not only on the greatest variety of plants and animals in the world, but also on indigenous communities in the area. Reliance on earth’s non-renewables has consequences on both a global and local scale. Over 70 years have passed since the end of metal mining as a major industry in Amador County, but the toxic effects are left unresolved in many areas, including the infamous Argonaut mine area. While we in Amador are attempting to reclaim our abused lands, the same sad stories of irreparable damage to our earth plays out across the globe at a record pace. We have the inherent right to know what is happening to our water, land and air. Having this knowledge can empower communities to make choices for the future health of all. AAUW will be presenting this informative program on Wednesday January 14th from 4:00 PM to 5:30 PM at the Sutter Creek Community Center, 33 Church St. Refreshments will be served. Members of the general public are welcome to attend at no cost. Amador County (December 22, 2014) - Employees and volunteers of Operation Care are deep into the Christmas spirit, organizing gifts for 35 children and their families who otherwise would not have had a "Christmas". "We do this every year," said Tammie Crabtree, executive director of Operation Care. "We get an overwhelming show of support from our community starting in early December. 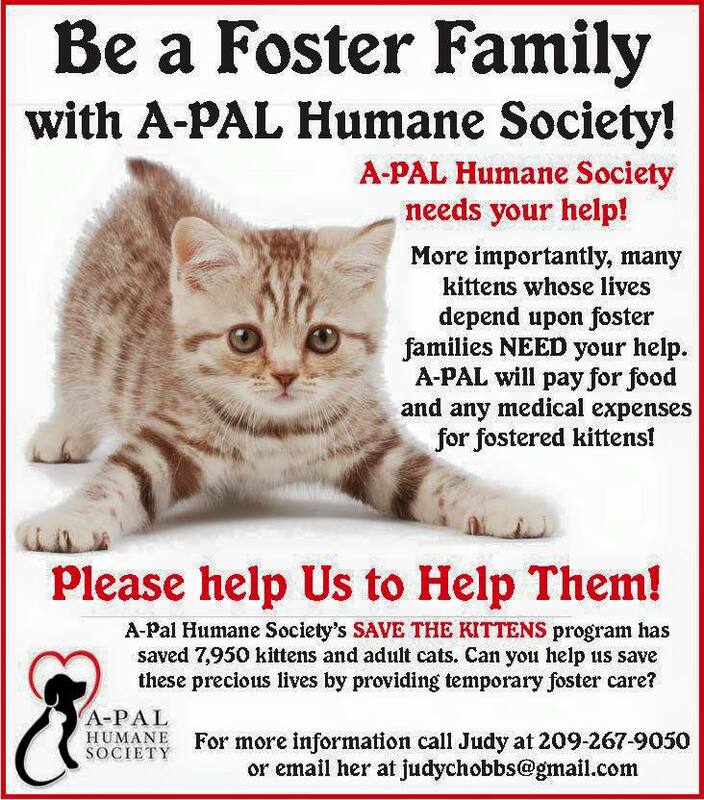 There are so many generous people who want to help those in need." Operation Care's "Adopt-a-Family" program identifies survivors of domestic violence who need a little help making the holidays "normal" for their families. This year, the Crackerjack Bowling League and the Immanuel Lutheran Church of Ione adopted all of the children, while countless individuals adopted the families and children as well. Servpro donated coats to the families, the Jackson Police Department donated bicycles for some of the teens in the program, and Kelly Abel donated bicycles for all of the children ages 3 - 12. 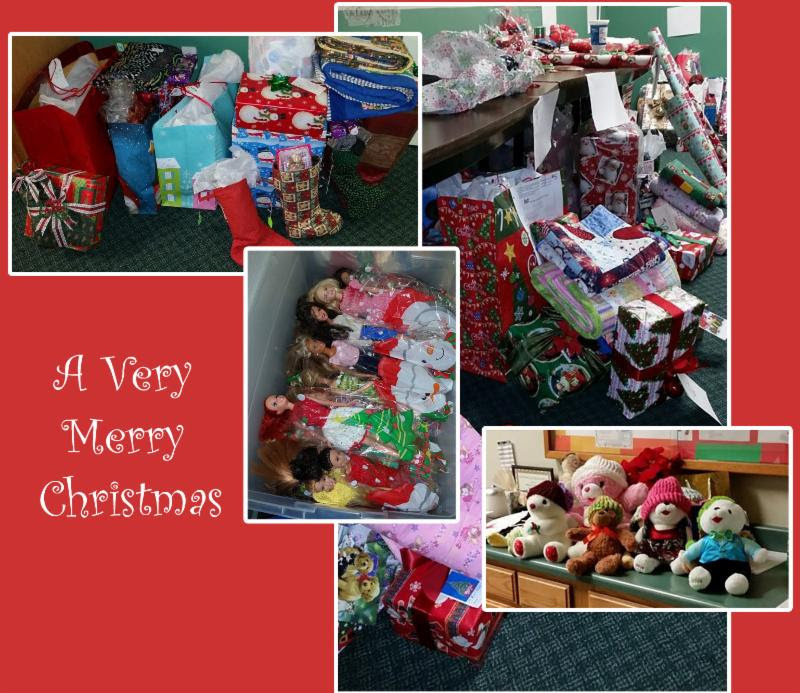 All of the gifts were sorted and wrapped by volunteers and staff, to be delivered to the families before Christmas. "Gift giving is a symbol of the spirit of the season," said Tammie, "and we're pleased to be able to help, and to provide some sense of normalcy to families whose lives have been turned upside down by violence. We want to thank all of the people who so generously provided gifts for seventeen local families. It is an amazing show of confidence in our programs, and it is heartwarming to see the joy on a child's face when they open their gifts." Hundreds of packages and toys await delivery to the survivors of domestic violence and their families this Christmas. Saturday Night Pine Grove Camp fire fighters won their first Championship in the Amador County men’s Dodgeball League. This was Pine Grove’s second season in the Dodgeball league. Head Coach YCC Adam Frazier and Asst. Coach YCC Linh Nguyen held practices where the guys learned if you can dodge a wrench you can dodge a ball and the 5 D’s of Dodgeball: Dodge, Duck, Dive, Dip, Dodge. Following their big victory they celebrated with a Giant 88 burger and took picture with their new T-shirts and the title built. Let's Take the Stress out of the Season! December brings many celebrations and festivities, but whatever your special holiday, it can cause stress in families. We shared some ideas last month, but feel we can't emphasize enough the importance of not taking on too much during this time of year. Children respond to stress in their own ways: crying, tantrums, clinging, excessive energy, temporary regression such as thumb sucking and many other ways. These tips can help reduce stressful situations! Establish predictable routines. Eat regular meals. Make sure everyone gets enough sleep. Plan for rest times. Prepare ahead for a hectic day. Plan for snacks: quick, take-along snacks such as crackers, veggies, and fruit require no refrigeration and can be shared when shopping lines are long or hunger makes tempers flare. Slow down. If the family is always rushing, consider cutting back on the number of planned activities or schedule them over several days. Allow time for playing and movement. Most shopping activities are boring to children. Allow them time to use some of their endless energy! Set a good example yourself. Avoid overextending yourself by trying to do too much. Plan quiet times and "get away" activities for yourself. Discuss any changes in routine. Plan ahead if you are expecting guests. Put away breakable or "special things." Let everyone share in planning how to make guests comfortable. Most important? Don't forget the humor in difficult situations! Take a "step back" and relax. Breathe. prevent child abuse in Amador County! because of stress, the expense and bustle of shopping, and increased alcohol use. Accidents related to holiday decorating and festivities also contribute to unsafe conditions for children. Here are some tips to help keep families and homes safe during the holiday season. have been tested and labeled by an approved laboratory. when leaving the home or going to bed. that are sensitive to secondhand smoke. beverages on hand for the designated drivers. can float out of the chimney and may ignite a neighbor's yard. Happy and Safe Holidays from all of us here at the Child Abuse Prevention Council! The CAPC office will be closed Christmas Eve and Day, Dec. 24 and 25. 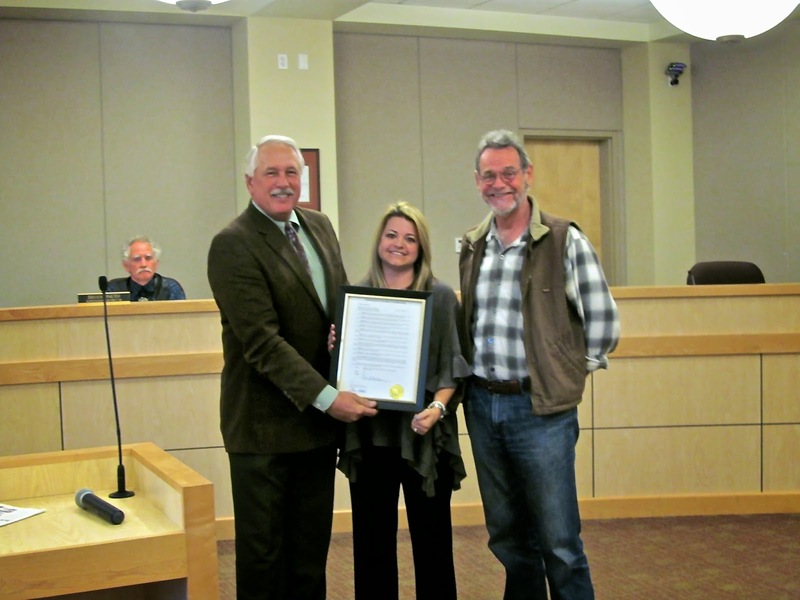 During the November 25th Amador County Board of Supervisors meeting, the supervisors passed and adopted Resolution No. 14-126 in appreciation for the employees and volunteers of Hospice of Amador & Calaveras, to honor them for receiving 100% Medicare compliance during a recent surprise audit from the State of California. Supervisor John Plasse, Director of Patient Care Caela White and Executive Director Dan Riordan. Supervisor Plasse presented the framed resolution to Executive Director Dan Riordan, and Caela White, Director of Patient Care Services, to recognize and thank the over 50 employees and 200+ volunteers who devote their time, energy, love and professionalism to make Hospice of Amador & Calaveras, our local community based non-profit hospice, a truly remarkable Hospice. The National Hospice and Palliative Care Organization (NHPCO) also learned of our local hospice’s accomplishment and they will be highlighting them in their weekly online publication, NewsBriefs. For many, the holiday season is filled with laughter, music, joy, and peace, but for some, it is a time of increased stress. Click on the image above for helpful ideas for keeping the holidays stress-free for adults AND children. Remember, if you begin to feel increased tension, call Operation Care's 24-hour hotline at 209-223-2600 before taking stress out on children, family members, friends and others. My teenage son and I arrived at Operation Care scared, shaken and embarrassed. Our home was no longer a safe place. I tried to make my marriage work. For years, I thought it must be my fault. If only I was smarter, I would know what sigh or word not to utter. Maybe then there would be less yelling. If only I was faster, I could clean the house and cook each meal on time. Maybe then there would be fewer complaints. If only I could remember that whatever I do, think, or decide, will be wrong, maybe then there would be some peace in the house. If only I could obey without question, there would be less anger. If only I was dead, I would not upset anyone anymore, but then my son would face the madness alone. I must stay alive for him. Each time the police were called to take me away, they left me at home with an Operation Care leaflet. All the officers urged me to call and get some help. Their eyes spoke the words they are not allowed to say. Yet I stayed, hoping to make things better, ashamed of what had become of me, scared to take the leap. Troubles only got worse. Now the physical violence was returning with added verbal abuse, berating and mocking insults about me and my family, including my dead parents. were not fooled. Again they gave me an Operation Care leaflet and suggested my son and I leave the hostile place we call home for a few days. We took refuge in a rustic clapboard cabin, a wooden box big enough for two wood bunks and a chair. My son deserved better. I swallowed what pride I had left and went to Operation Care. I am a 57-year old man. I expected no sympathy for me, but maybe for my son. The Angels at Operation Care treated me with warmth, respect, and care. They listened with an open mind and would not allow me to be embarrassed. They lifted my shame and restored my dignity with compassion and understanding. Each and every Angel gave me a warm smile. They all care about us. With wise guidance, they gave me strength and direction. Always ready to listen, the Angels cheer our highs and soothe our lows. They encourage our path to progress and know what we cannot think of. Thanks to the Angels at Operation Care, I am no longer a broken man. Their tenderness, sympathy and care lifted our despair, gave us hope, confidence and self-worth. While house hunting, the Angels at Operation Care provided shelter with motel rooms, food, gas, and direction. They listen, care and act. Their tireless efforts continue with their Fresh Start program. Although I may not feel worthy, they helped us get a home by paying for the move in costs. They filled the home with food, cookware, kitchen items, towels, and more. They even paid the deposit for our propane service. My son and I have a warm home now. The future is bright and hopeful. People do care and understand. Thank you Operation Care. The glow of each Angel's Halo casts light upon the darkness of despair, guiding us back to a colorful world filled with warmth, hope and love. Operation Care and it's Angels have my eternal gratitude.